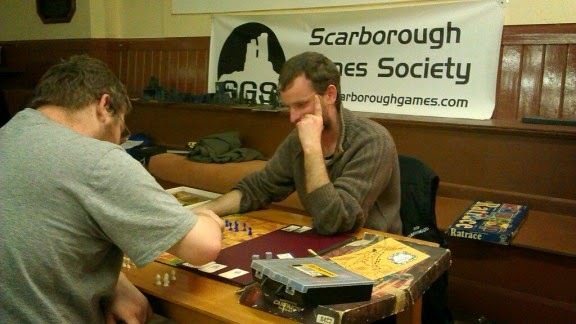 Scarborough Games Society: SGS is blogging! I will just summarise what we do and why we think you should come join us. We give new visitors two weeks to check out what we offer and see if they feel we are a good fit for them. After that we charge £10 a year for membership and ask for £1 in nightly fees. Members get access to monthly tournaments (card games & wargames), minibus trips to popular events around the country, and the right to vote on key issues in regular meetings. We run on Mondays and Wednesdays at Roscoe's Bar, behind Sainsbury's in the center of Scarborough. Some of us take advantage of the bar to quench our thirst during hearty battles or to help deal with defeat. Snacks are also well stocked at the bar - all essential gamer food! 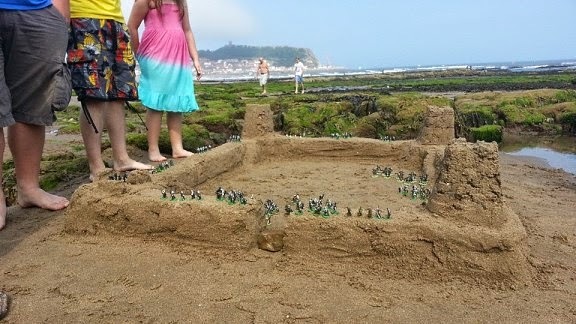 We like to get out in the sunshine once in a while and have a good beach BBQ. The opportunity to socialise and promote gaming and the society to the public has been great fun and so far no figures have been washed away! We are a casual bunch, and love exploring new games and making our own. Once a month we try to be serious and put on an organised tournament. Card game tournaments are every month, with wargames tournaments happening every few months. 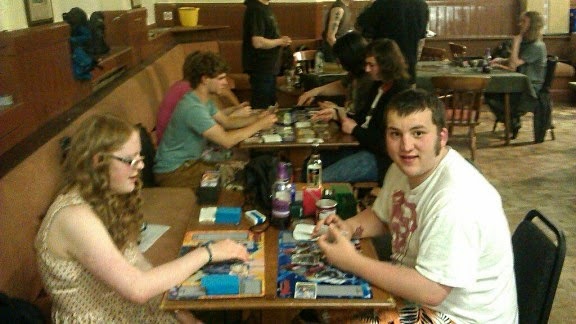 Magic: The Gathering, Pokemon, Cardfight: Vanguard and X-wing are all popular events. 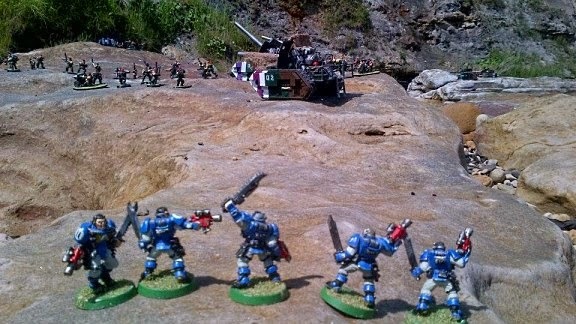 For more information see our website at www.scarboroughgames.com or like us on facebook.